Ferraris are highly sought-after, collectible vehicles, and owning one can be a reality if you take the proper approach. Learning how to buy a Ferrari begins with visiting an authorized Ferrari dealer. With limited production for most models, these are rare vehicles with highly specialized components. Working with an authorized Ferrari dealership can provide peace of mind that your future dream car has been properly maintained and meets the impeccable standards of the Prancing Horse brand. Because of the limited number of Ferraris produced yearly, finding a pre-owned Ferrari for sale to your specifications may be challenging. Each pre-owned Ferrari was configured to the original owner’s unique taste by embodying specific desired materials, colors and finishes. For instance, in 2017, Ferrari produced just over 8,000 vehicles — that’s just one reason why they’re not a common sight around St. Louis or Indianapolis. There are also a variety of special series models that are significantly more scarce — for instance, only 210 LaFerrari Aperta models were produced. The limited production of Ferrari vehicles means that they hold their value over time. Many people collect the Prancing Horse as part of their investment portfolio similar to a blue chip stock. It is crucial that these collectible and vintage vehicles have been properly maintained over time. An authorized Ferrari dealership will have a broader selection of models than the private market, and will also have detailed service records for each model. An authorized dealer will have Master Service Technicians who have been certified by the Ferrari factory in Maranello, ensuring that the dealership’s inventory is properly maintained. Finding the Ferrari of your dreams for sale might not always be easy, which is why learning how to buy a Ferrari begins by working with an authorized dealership. 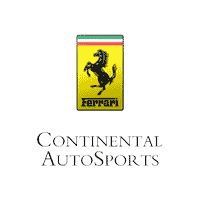 Contacting Continental Ferrari is a great way to start. Even if we don’t have a specific model in stock, Continental has the resources to help you find a pre-owned Ferrari that matches your preferred specifications. 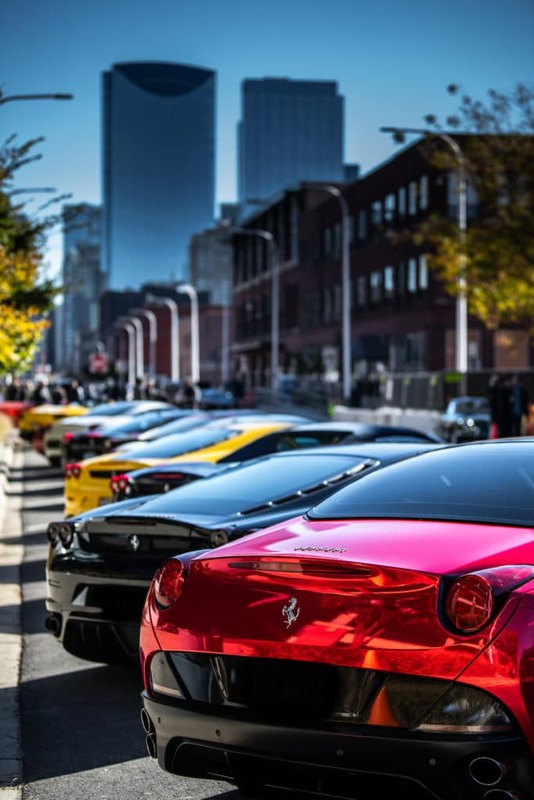 When you work with an authorized Ferrari dealership, you’ll have access to a variety of financing and leasing programs through Ferrari Financial Services. A dealership like Continental Ferrari can offer personalized financing services, including flexible financing terms and lease options of between 13 and 60 months with multiple mileage options. You can also take advantage of the Ferrari Select program for those with an existing Ferrari collection who wish to expand their collection. This program uses the equity of a potential buyer’s existing Ferrari collection to offer a personalized line of credit that can be used to either finance the purchase of additional models or to provide the buyer with liquidity for other ventures. Ferrari Select lines of credit start at $500,000, and the maximum credit offered will depend on the value of the buyer’s existing collection of vehicles. The Ferrari Direct program is similar, but design for those who own a single Ferrari model. This program is available to provide fixed loans based on the value of a single vehicle in the buyer’s collection. These loans may be provided with flexible terms to enable the buyer to purchase additional Ferrari models, and they’re available without origination or early-termination fees. Why Go to an Authorized Ferrari Dealership? It’s crucial to purchase any pre-owned Ferrari from an authorized Ferrari dealership like Continental Ferrari. Not only will such a dealer provide you with all of the vehicle’s service records and confirm that all maintenance is up to date, but we will also outline the future costs of ownership that you can expect to maintain the car’s world-class performance. In addition to being able to offer the best terms possible for your purchase or lease through Ferrari Financial Services, working with an authorized Ferrari dealership makes it easier to keep track of every aspect of your new vehicle. When you purchase through Continental Ferrari, we will register your purchase with Ferrari in Italy and you will be issued a unique Ferrari ID number, which is how the factory tracks ownership and chassis numbers around the world. Buying from an individual reseller or an unauthorized dealer would result in you not receiving a Ferrari ID number with your purchase, meaning that your vehicle’s service history and chassis won’t be in the international Ferrari system. Without a Ferrari ID number, you could face issues with future purchase requests. Your unique Ferrari ID number is a necessity for events such as scheduling a Ferrari factory tour in Italy, or attending the hospitality area at the Ferrari Challenge Series, or participating in the Ferrari driving program, Corso Pilota! Want to buy a Ferrari? The dream is in reach when you work with Continental Ferrari! We’re based in Chicagoland but we work with potential buyers throughout the United States, and these cars are worth traveling across the country to procure.